Sameer Sikand is a Graduate of DU. 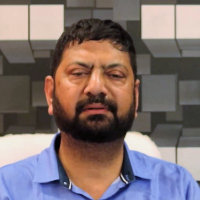 He started his career with Indian Express in Space Marketing and Online Media.Later he started with his business of Retail of Golf Equipment in Delhi and IMA, Dehradun. In 2008 he became a Partner of Nine Palms as a Wedding Planner. "I am a Graduate of Delhi University.I started my career with Indian Express in Space Marketing and Online Media. Later I started with Retail Business of Golf Equipment in Delhi and IMA, Dehradun. Currently I am doing a business of Wedding Planning in The Nine Palms as a Partner."